‘Pearl’ Cheese Wedding Cake – The Courtyard Dairy. 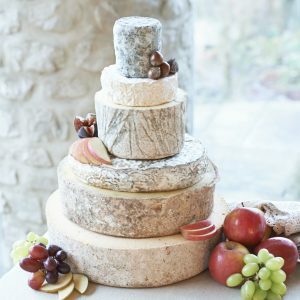 If you’d like to chat about the cheeses or choose a cheese wedding cake selection unique to you - please telephone 01729 823 291. 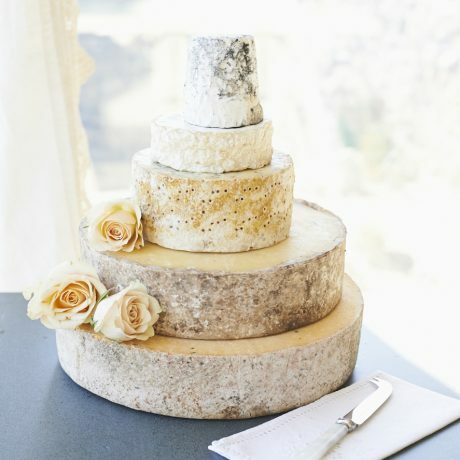 ‘Pearl’ is a five-tiered cheese wedding cake containing a fresh lactic goats’ milk, the intense Tunworth Camembert, smooth rich Stilton, buttery tangy Cheddar and the fresh crumbly Anster. Ideal for 85-115 people, 8.4kg cheese. Full cheese details are below. If you would like to try them first, simply order a sample box. Dorstone: a delectable goats’ cheese. Unpasteurised, goats’ milk. 180g. Tunworth: ripe Camembert-style. Pasteurised cows’ milk. 250g. 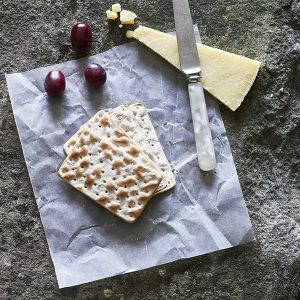 Colston Bassett Stilton: classic Stilton. Pasteurised cows’ milk, vegetarian. 1.1kg. Hafod Cheddar: buttery full Cheddar. Unpasteurised, cows’ milk, organic. 3.3kg. Crumbly Anster: fresh and delicate. Unpasteurised, cows’ milk. 3.5kg. 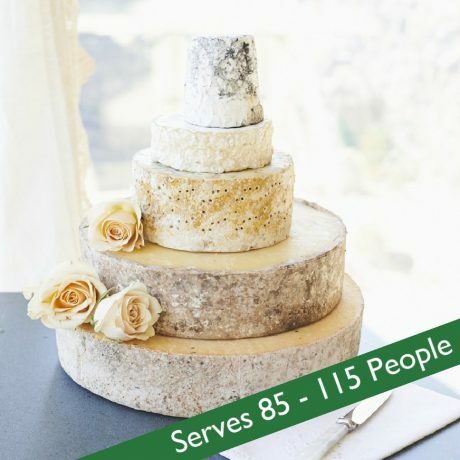 Before you make your choice of delectable cheese wedding cake, be sure to read the tips and tricks listed here (including why and how to add separators to give your cake extra height) and find out what makes The Courtyard Dairy’s cheese wedding cakes so very special. Click here to see a variety of cakes made for other happy couples, their pictures and testimonials, and some decoration ideas. Decorations and flowers are not included because they are best left for you to match to your wedding. Please make sure, that you arrange the delivery to yourself or the venue/caterers to be at least two days before the event (and not a Friday) to allow for contingencies. The cheese will then need to be kept refrigerated until the event and will have two weeks shelf life from the date of delivery. 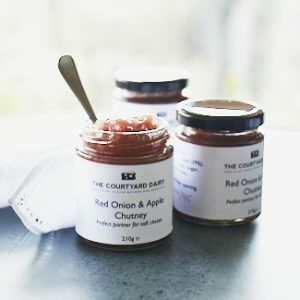 Conveniently, at checkout you can choose a delivery date even well in the future if you would like your cheese delivering for a specific event.